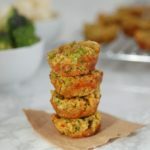 These Broccoli & Cauliflower Bites are kid-friendly and simple to make with just a few ingredients. 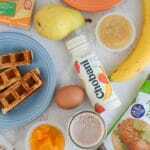 Perfect for snack time and lunch boxes! 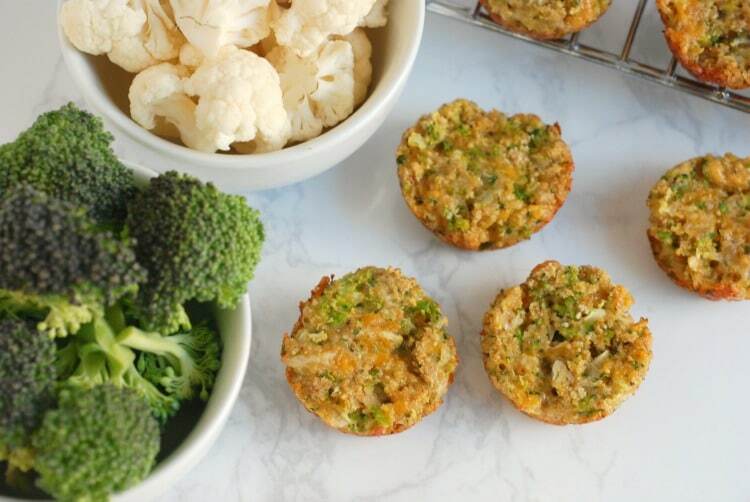 If your kids are still learning to like veggies like broccoli and cauliflower, these little nuggets can help. They’re just the right size for snacks and lunch boxes and can be eaten warm or cold (and dunked into ketchup if that sweetens the deal). Steam the veggies in the microwave or on the stove until they’re soft. 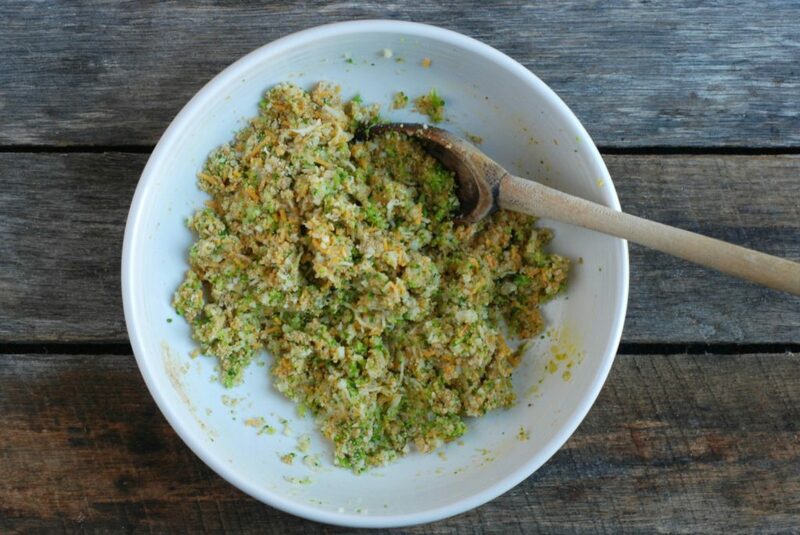 Then place them in the bowl of a food processor and pulse until finely chopped. 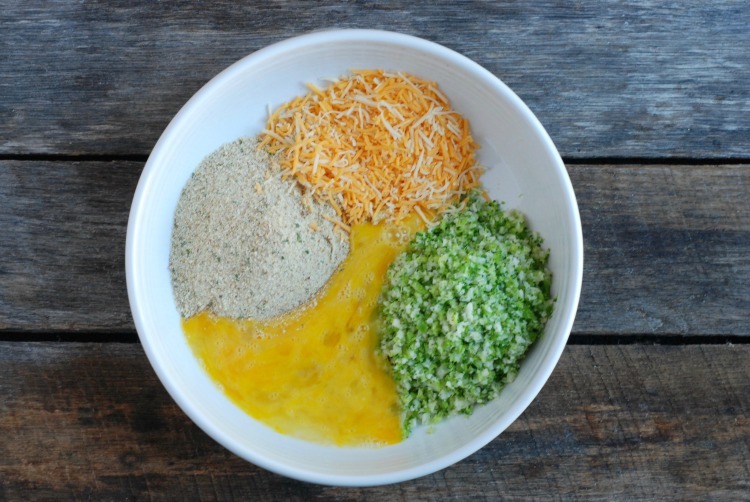 Transfer the finely chopped veggies to a bowl and add breadcrumbs, cheese, egg, and garlic salt. Portion into a mini muffin pan that’s been sprayed with cookie spray. I use my handy cookie scoop for this job (and so many others). Press the tops down gently with the back of a spoon. Bake at 350 degrees F for about 15 minutes or until lightly browned. Enjoy! 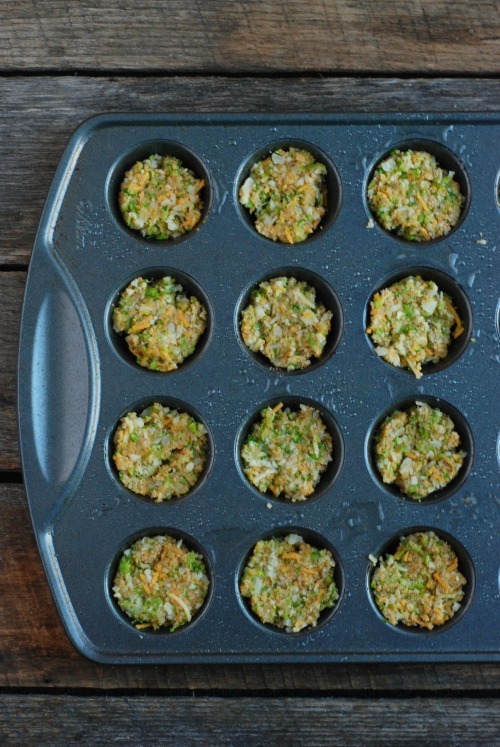 Preheat oven to 350 degrees F and spray a mini muffin pan with cooking spray. 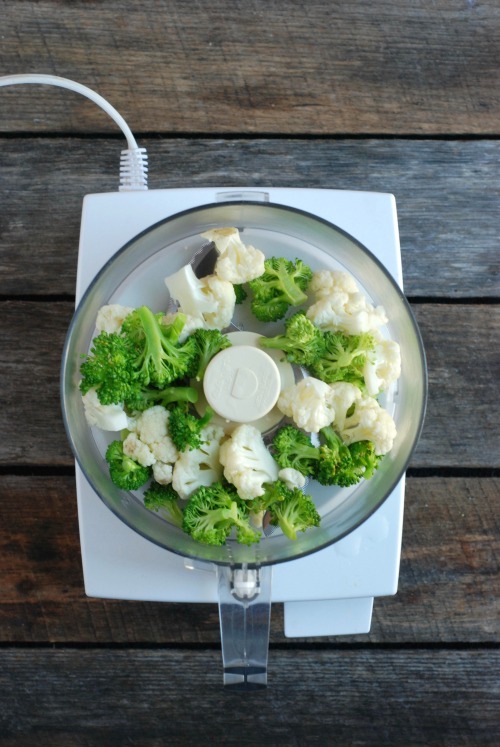 Steam broccoli and cauliflower florets on the stove or in the microwave, then pulse in a food processor until finely chopped. 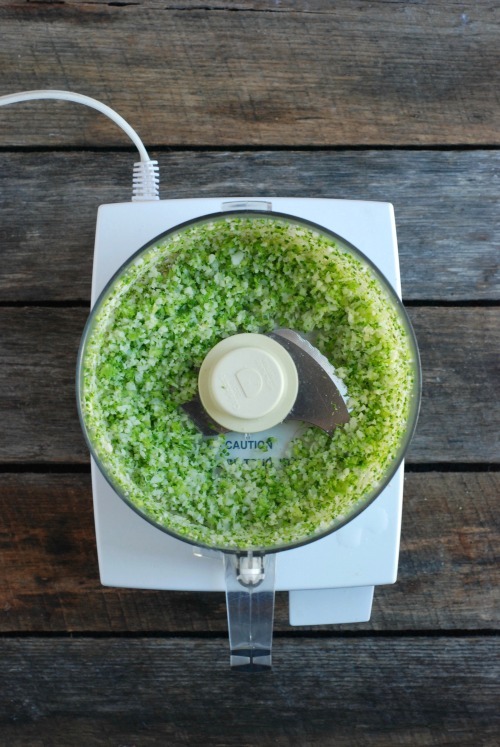 Transfer chopped broccoli and cauliflower to a medium bowl and add beaten eggs, breadcrumbs, cheese, and garlic salt. Mix well. 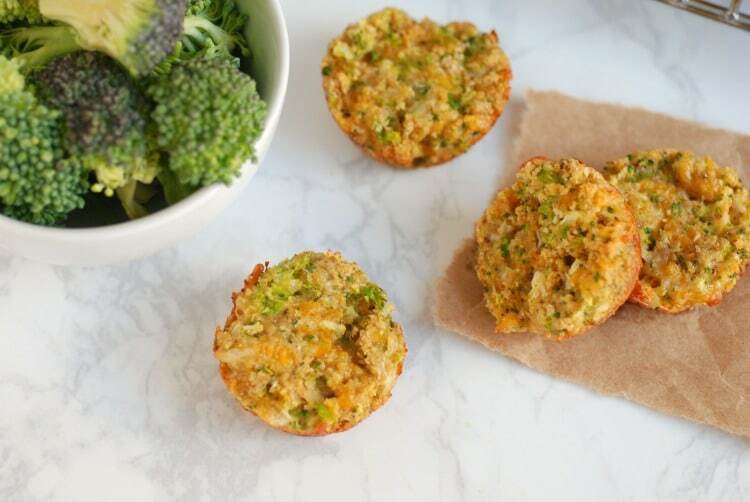 Drop mixture by the tablespoonful into the mini muffin pan and press down tops gently with the back of a spoon. Bake for about 15 minutes or until lightly browned, then remove them to a cooling rack. 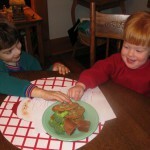 Serve warm or store in the refrigerator in an airtight container. This page contains Amazon Affiliate links. If you purchase a product through these links, your cost will be the same but I will receive a small commission. Do You Have A Feeding Strategy? These look yum, thanks! Do you think I could use frozen florets as is (w/o steaming them) to save time? I would think so, but I would be sure they’re thawed so they don’t release a bunch of moisture while baking. AFter baking, can I freeze a bunch of these to reheat in microwave later? These look amazing! I can’t wait to try them. How do you wrap them up for the lunch box? 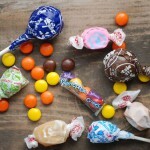 I love making these for my toddler and secretly I love eating them, too! 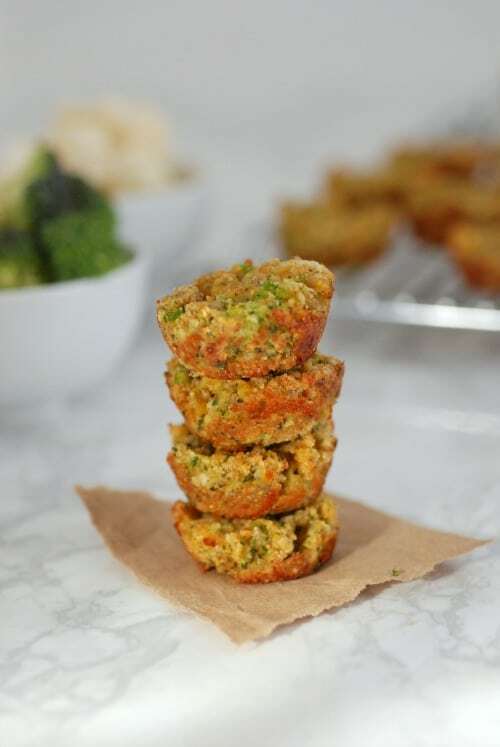 Recently, I am trying to limit my refined carbs, do you think I could swap the breadcrumbs for almond flour? Or something else? I’m so glad you like them! I haven’t tried them with almond flour, but as long as it helps hold them together like the breadcrumbs do, I think it should work. 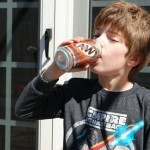 If you try it, let me know how it turns out!